Which of these islands seems the most romantic? remote? scary? lush? 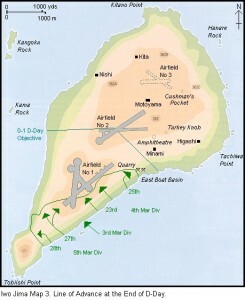 Posted in Uncategorized	| Comments Off on How to define an Island? Around the end of the 5th century A.D most of Europe was controlled by the great Roman Empire which controlled land from England to Turkey and everything in between. But such a vast empire cannot protect all of its boarders and like all great empires it fell. The fall of Rome was caused mainly by internal struggles and the attacks from Germanic barbarians from the north and north east of Europe. The fall would led Europe into a dark age. 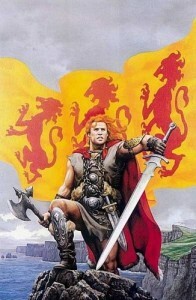 However one place was free from the dark ages, Ireland. Ireland was never controlled by the Romans mainly because they saw the Irish as uncivilized, barbarians and would do nothing to benefit the empire. However they still traded with the Irish and spread the Catholic faith and Roman writing techniques to the Irish. 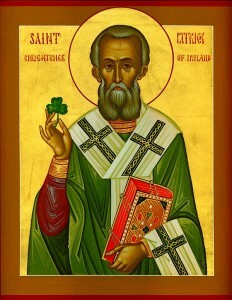 One such famous missionary was Saint Patrick who wasn’t born in Ireland but was born in Roman Britain. 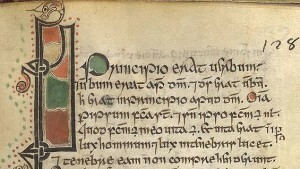 This conversion of the Irish from pagan to Christian was extremely unique, the Irish never persecuted Christians after Patrick arrived and many people started to convert in huge numbers. This type of conversion was one of the most peaceful mass conversions to Catholicism in history and would led to how the Irish saved the Western Civilization. This quick conversion allowed many monks and holy people to go to Ireland and start setting up monasteries which taught the newly converted monks and people of Ireland to read and write. Another unique ability of the Irish was how quickly they were able to learn how to write and read, along with the unique need to read as many books as they could get their hands on. The Irish monks would read everything from the Bible, to books by cicero, that were seen as evil by some holy men, and even stories of Roman and Greek gods that was heresy but the Irish monks were very open to these books. 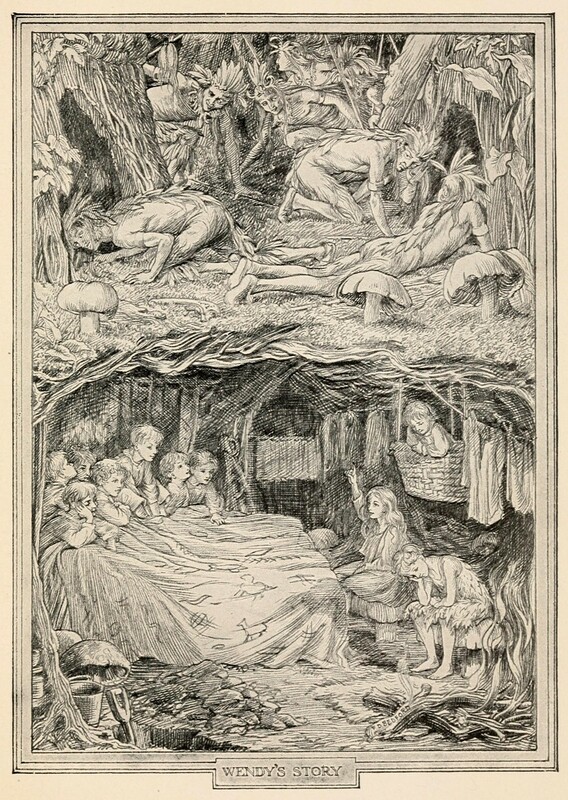 They did not see them as true they saw them as only stories and these books would not change their faith which was very different from the Roman Catholicism ideas which saw these fables as pagan, satanic works. This great need to read would led the Irish to start writing their own books and create their own writing styles which mixed roman and Celtic writing styles together and form. 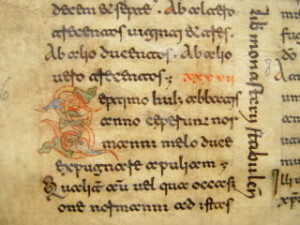 Two writing styles were formed Irish Half-Uncial script and Irish Minuscule script. 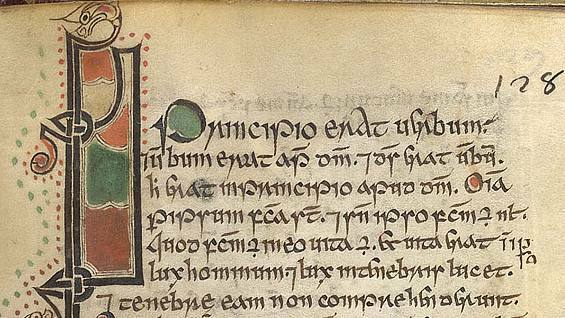 Irish Minuscule script became so famous it would be used throughout the middle ages. Once Rome finally fell guess what place had all the ideas and a lot of the books that came from Rome….Ireland!!! If the Irish did not convert to Catholicism as easy as they did and if they did not want to read and write as much as they wanted to the great literature from Rome could have been lost. After the fall of Rome Ireland would enter a golden age that would end by the 700s and have clans fighting each other until Brian Boru would unify Ireland for ten years until he is killed while praying. New Zealand is a beautiful island country composed of two islands that is located in the southwestern Pacific Ocean, approximately 4.000 km southeast of Australia. 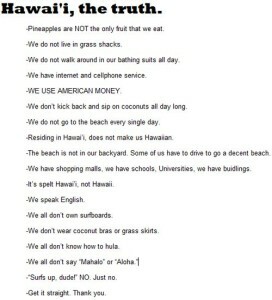 There are approximately 4.5 million people that inhabit the two islands. 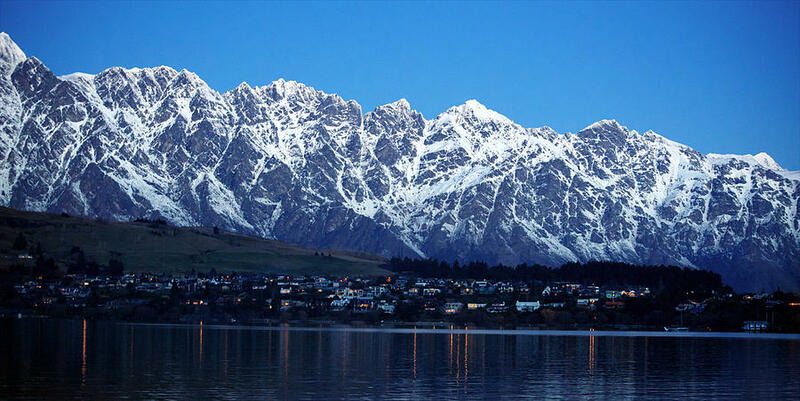 New Zealand has recently earned a spot in the world of tourism, mostly due to its captivating scenery and role in the Lord of the Rings and Hobbit movies. 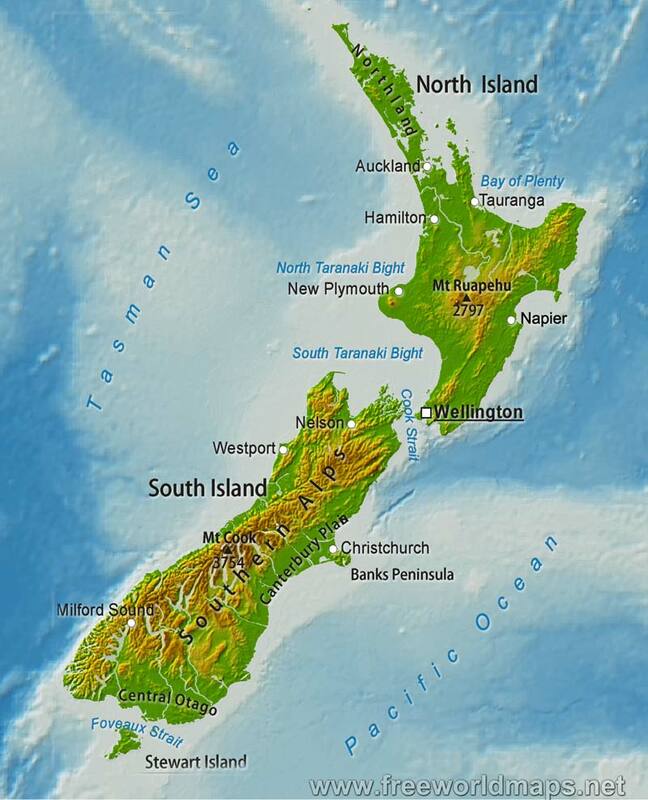 New Zealand is an island comprised mainly of continental crust. 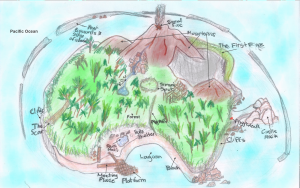 The island is located on an active segment of the boundary between the Pacific and Australian tectonic plates. The two plates push against each other along a curving boundary creating rifts and subduction zones. This is the reason for the mountain ranges that run down the middle of both islands. 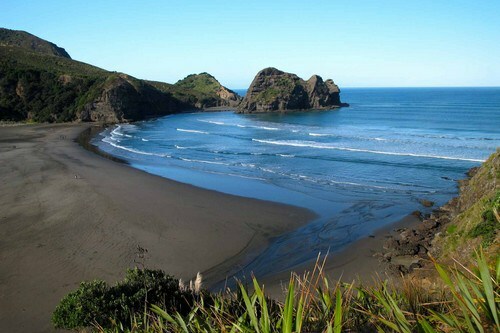 Additionally, New Zealand has over 15,000 km of coastline. In the far north and most of the east coast, there are long sandy beaches that are mainly used for swimming, surfing and sunbathing. The North Island’s west coast has dark sandy beaches that are rich in iron. South Island’s coastline, however, tends to be more rugged and rocky, although the north shore has some sandy beaches. Another unique aspect of New Zealand is its biodiversity. High amounts of rainfall and ample sunshine allow for a diverse population of flora. Today, 80% of the species located on the islands are native. 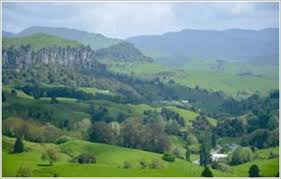 The large evergreen forests are composed primarily of rimu, totara, beech and the kauri, which is the largest native tree species. There is also dense undergrowth of mosses, lichens, ferns and shrubs. One tree species, the pohutukawa tree, has bright red flowers that bloom in December and has been commonly used as the Christmas tree. There are also many species of animals, including an abundance of birds. Due to the fact that there were few natural predators, many of these bird species became flightless. One of the appeals of New Zealand is the abundance of tourist attractions. Many tourists take advantage of the landscape, by walking and hiking, cycling and mountain biking, camping, scenic flights, and fly fishing. New Zealand is also known for its sports games and cultural arts and music festivals. Additionally, New Zealand’s captivating scenery was used in several films, most notably, Peter Jackson’s Lord of the Rings and the Hobbit trilogy. 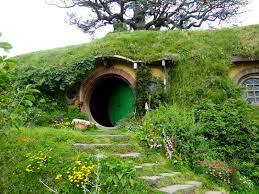 Since 2001, New Zealand has become known as the home to Middle Earth. Many tourists come from all over the world to visit the filming locations, which has created a subculture within the tourism industry. One of the most famous locations is Hobbiton, a permanent set, which holds Bag End, home of Bilbo and Frodo Baggins, the two main characters of the Lord of the Rings. 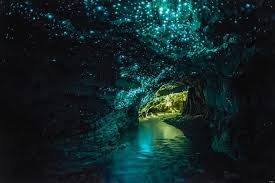 There are also a variety of tours to many of the filming locations, like the Waitomo Caves, Volcanic Ruapehu, Mangaotaki Valley, Mount Olympus and Eco Wanaka. 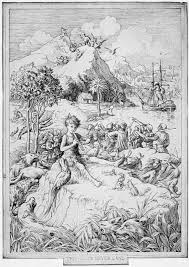 We’ve mentioned several books about islands in class and just as we analyzed the themes found on them, I focused on four major themes that Peter Pan, The Odyssey, And Then There Were None, and Lord of the Flies have in common. Everyone who’s seen Peter Pan knows you can only get to Neverland by flying there, but what wasn’t mentioned in the movie is that the island can hide itself from those it doesn’t want to come. 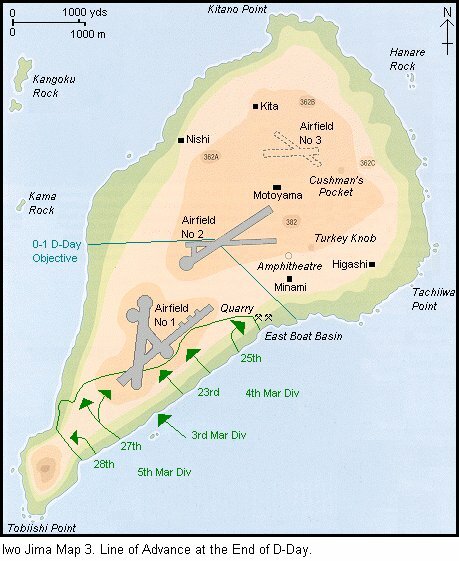 The island almost has a mind of its own and because of this, is completely isolated from the outside world in its efforts to keep adults off the island. Time passes differently on Neverland and with no contact with the mainland, the children have no idea how much time actually passed on the island. They are completely cut off from their old lives so they begin to forget it. They start to feel as if they had always been there. The line between fantasy and reality is hard to distinguish on an island of make believe. The island is even physically different when the Darlings get there as opposed to their dreams about it. They do not want to admit to the dangers of it. 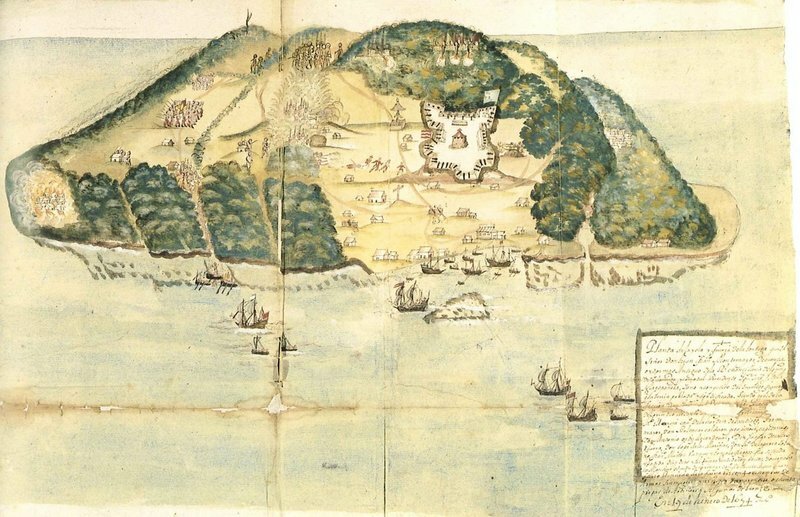 In reality, the island is dangerous for children because there is an ongoing war between the Indians, the pirates, an d the lost boys and many are often killed on all sides. The children don’t see the harshness of the island because Peter has them all playing one long game of make believe. He can sometimes go so far as to pretend to make them eat. Peter Pan is the one child who will never grow up, but because he won’t he doesn’t want anyone else to either. He thinks by forbidding the children to grow up he will keep them young forever. It is even implied that he kills the lost boys if they get too old because it is against the rules to grow up. Even Captain Hook doesn’t want to face the reality that he will get old as well. He still hides in fear as Time, the ticking crocodile, comes for him. The boys who are stranded on the island in Lord of the Flies are actually very similar to the Darling children because they expected living on an island with no adults to be like living in a dream. They were isolated from the mainland as well, but instead of becoming forgetful, they gave into their fears and became violent. The oldest boy on the island was twelve so it would be expected that the younger children would become frightened. 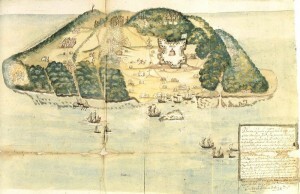 They continuously talked about a “beastie” on the island which was ultimately inside the boys themselves which cause them to become violent and give into animal-like tendencies. 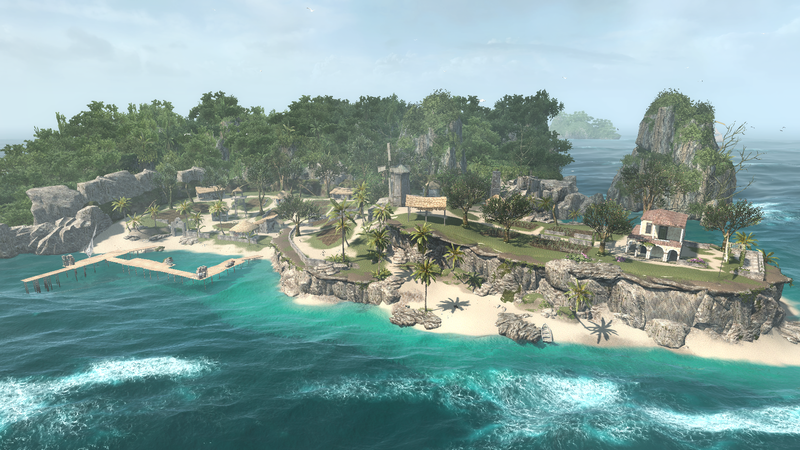 The natural beauty of the island was quickly disrupted as the boys began lighting fires, killing the animals, and eventually killing each other. Man’s permanent mark was left on the island the moment the boys landed when the plane crash left a “scar” on the beautiful beach and the downfall of the boys led to the destruction of the island. The boys did not have a relationship with the island as the lost boys did with Neverland, in their war for control of the island, the island was left in flames and destroyed completely. The children had a hard time adjusting to life on their islands, but the adults did not do that much better. 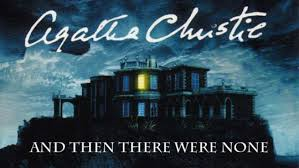 In And Then There Were None, the guests are trapped on Soldier Island and are killed off by one of the other guests for past crimes. They are completely isolated and the island feels like an entirely new world that they cannot escape from. From far away it looks peaceful and like the perfect vacation spot because it is so small and the house is so modern, but this ends up being the most dangrous thing about it. Because the island is so small and nothing can be hidden in the house, there is no where for the killer or the guests to hide. They eventually realize that the killer must be among them because, after scouring the island several times, they found no hint of anyone else staying on the island. All of the guests are invited for a relaxing vaction where they think they can hide from their guilt and pretend nothing happened, but instead of living in a dream they are forced to live a nightmare. 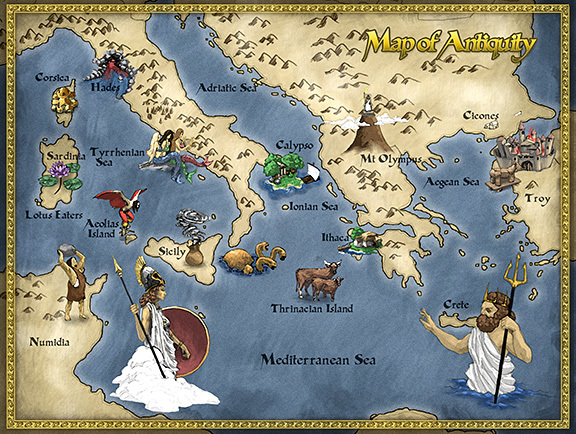 In the Odyssey, Odysseus travels to several islands with his crew before he is stranded on the Isle of Odigia. The Isle of Odigia is isolated from the outside world and there are no means of escape because it is the private island of the goddess, Calypso. 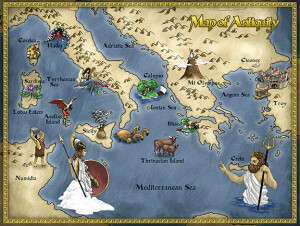 While on the island, Odysseus develops a depression because he cannot see any of his family back home. Although he was better taken care of on this island by Calypso than on any of the others, he despises it the most because he feels he is so close to home but cannot make it to the mainland. Many years before he is trapped here, he travels to several islands, including the Island of the Cyclops and the Island of the Lotus Eaters. The Island of the Cyclops seems pretty and welcoming when you first arrive on shore, but it turns out to be anything but welcoming. Odysseus and some of his men decide to take a look around and wait in the home of one of the Cyclopes. When he returns he kills and eats several of the man and traps the rest inside. Because Odysseus failed to recognize the danger after immediately coming to the island, he was only able to escape with a few of the men he came with. After this they travel to the Island of the Lotus Eaters. It is much less violent, but it does stop their travels for a time. When they men go to explore the island, the local invite them to eat some of the fruit of the Lotus flowers. The men do this thinking the food of the island to be exotic, and it puts them in a sort of trance. 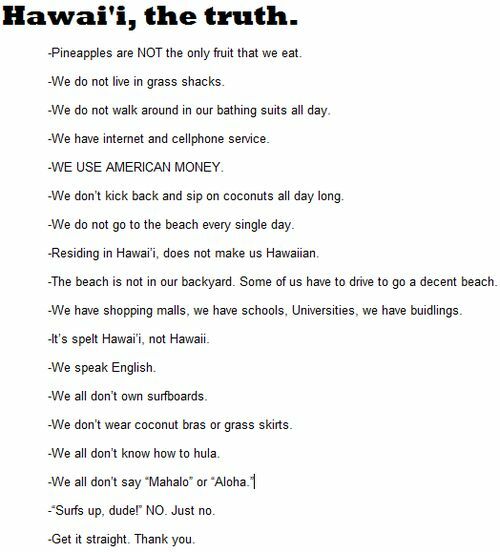 They forget the reason they came to the island and lose all motivation to leave the island. The men were living in a dream like state while on the island and couldn’t face reality until they were forcibly dragged onto the boat.